DAVID LE/Staff photo. 6/12/15. 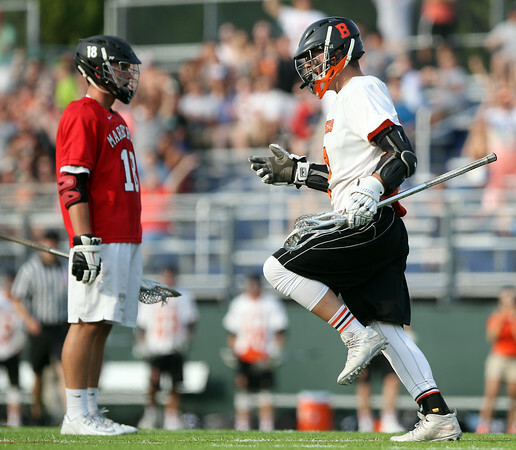 Beverly senior captain Chris Vallette celebrates his third quarter goal as Marblehead sophomore Manning Sears can only watch.